20s style and Euro-fusion flavours. Mushroom and parmesan arancini with rocket and almond salsa, followed by the Coco Burger of the week with polenta fries, and finished off with a scoop of coconut gelato. Though it's a restaurant in the middle of a cinema, the real star at Coco is the legendary (an aptly named) chef Nick Spicer, formerly of Matterhorn restaurant, who was headhunted by Coco's owners to bring a top notch dining experience to the Miramar peninsula. Amid the comfy-chic, 20s-inspired decor, Nick's swell "matinee" and evening menus have a Euro-fusion flavour. Don't miss the incredible roast pumpkin and amaretto ravioli with cavolo nero, candied butternut and sage butter ($28), or the hearty pan seared beef fillet with braised beef cheek, onion and thyme boulangere, creamed spinach and salsa brava ($34). Both are tremendous taste attacks that verge on the overwhelming, in the best of ways. The small plate menu boasts a number of snack sized delights if the complex mains are too daunting. The fried feta ($10) - which are little golden balls of creamy cheese in a syrupy confection of thyme, truffle and honey, has to be eaten to be believed. The lamb sweetbreads with pea, potato gaufrette and mascarpone ($16) make a liar out of whoever dares to call it a "small plate". And Coco's polenta chips are possibly the best I've ever eaten - served with a cumin mayo and tart tomato salsa. If there's room left in you after that lot for a dessert, the rhubarb cheesecake with white chocolate and coconut gelato ($15) is beautifully decorated with violet petals and a swooping wing of white chocolate, which seems almost too pretty to attack with a spoon. Almost. 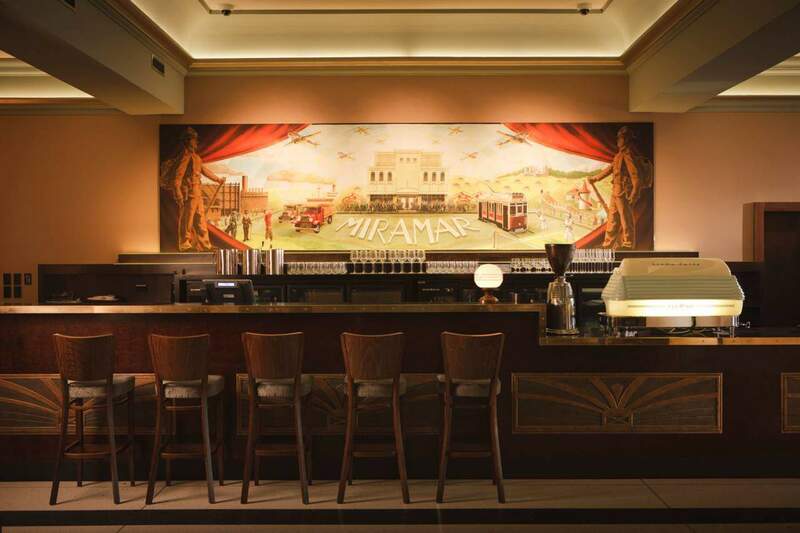 Despite the 20s decor, prohibition's long gone at Coco, so there's a well stocked bar and select wine list on offer. Try a crisp Church Road Pinot Gris ($10), or a doughty Brancott Letter Series Pinot Noir ($14) with your meal. Or, if you're off the bottle they mix an amazing Shirley Temple (with real maraschino cherries!). As the old standard says, anything goes. The bartender is something of an alcoholic alchemist, so just name your poison. Coco is more than worth the trip out to Miramar. If you're ready for your close-up with some of the most outstanding food in Wellington, head over to Coco.